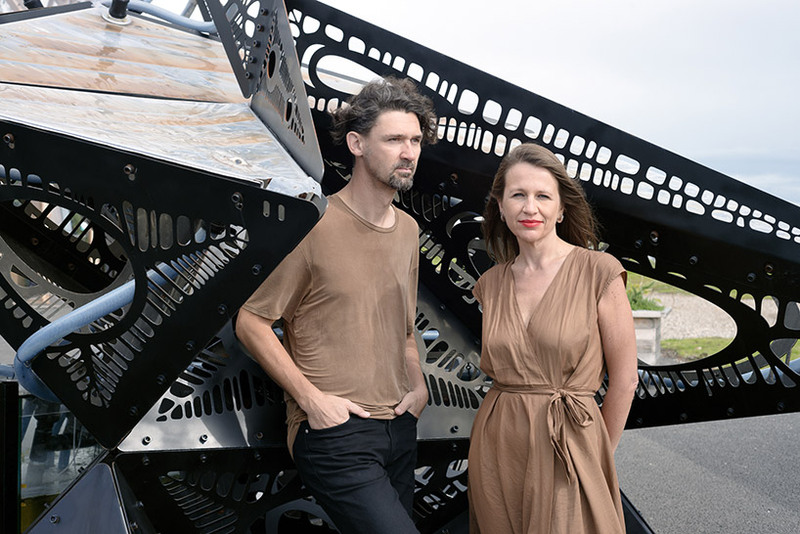 london-based architectural and design studio ecoLogicStudio has revealed during dublin’s climate innovation summit 2018 a large-scale installation dubbed photo.synth.etica. created in collaboration with climate-KIC — EU’s most prominent climate innovation initiative — the urban curtain aims to accelerate solutions to global climate change by capturing CO2 from the atmosphere and storing it in real-time: approximately one kilo of CO2 per day, equivalent to that of 20 large trees. 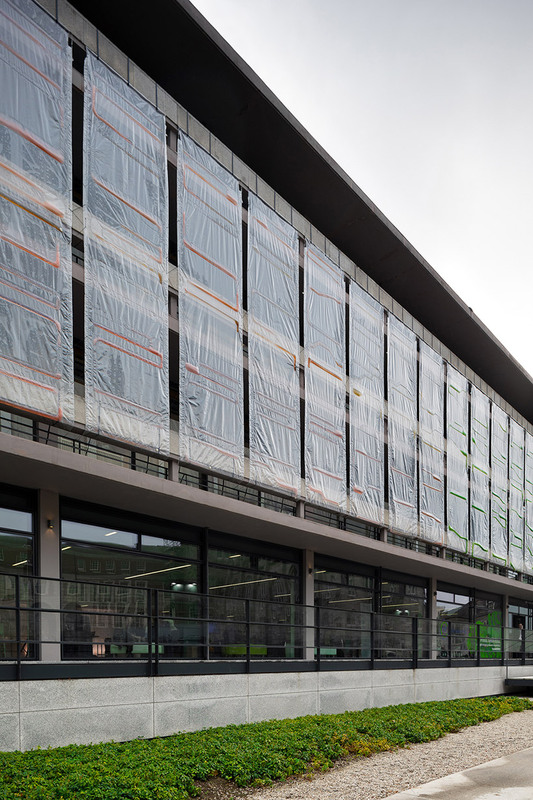 composed of 16.2 x 7 meter modules, the photo.synth.etica by ecoLogicStudio (claudia pasquero and marco poletto) has been installed over the main façade of the print works building at the dublin castle. 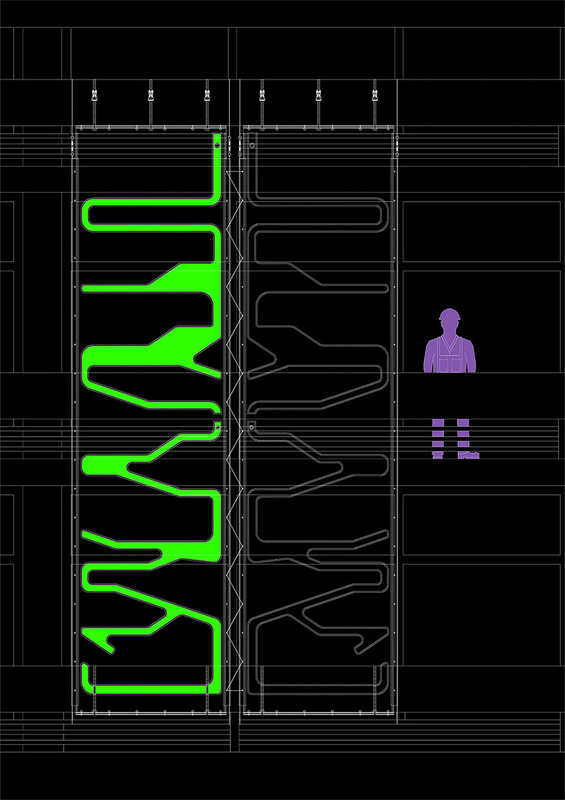 each module functions as a photobioreactor, or in english, as a digitally designed and custom-made bioplastic container that uses daylight to feed the living micro-algal cultures and releases luminescent shades at night. 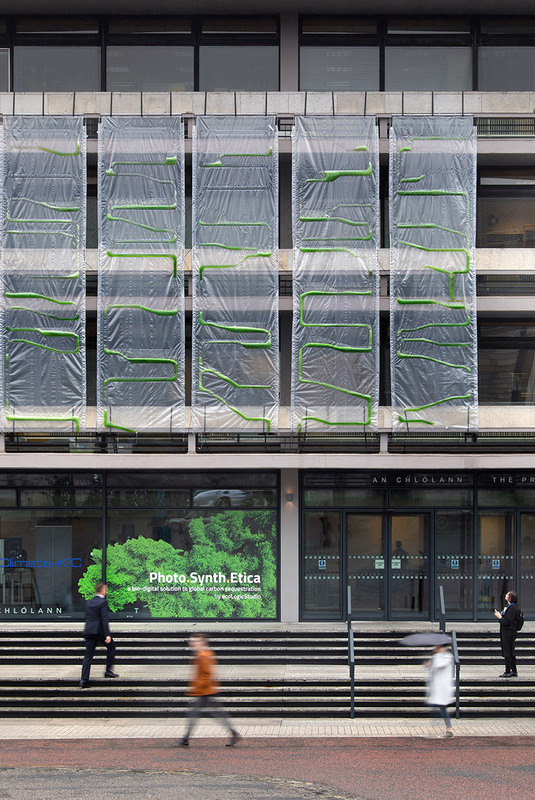 photo.synth.etica works as unfiltered urban air is introduced at the bottom of the façade and it starts traveling naturally via air bubbles that rise through the bioplastic. 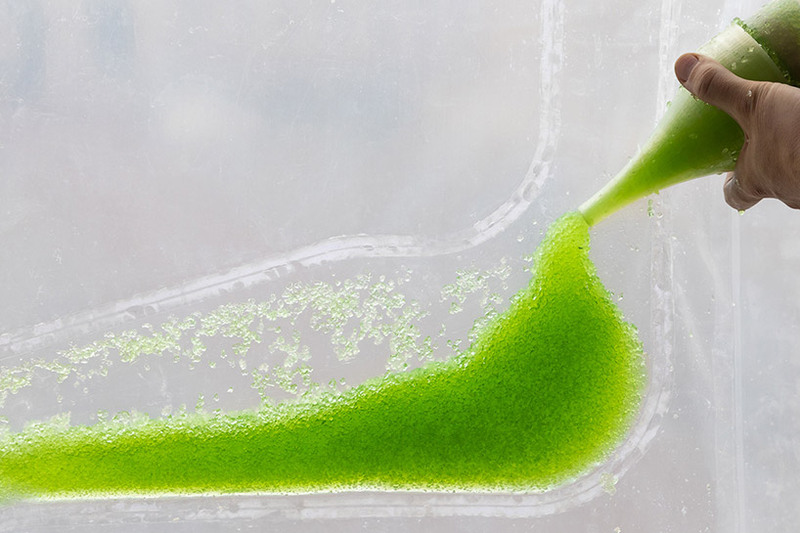 it then comes in contact with voracious microbes that capture and store the CO2 molecules and air pollutants in algae and grow it into biomass. this can be harvested and employed in the production of bioplastic raw material that constitutes the main building material of the photobioreactors. 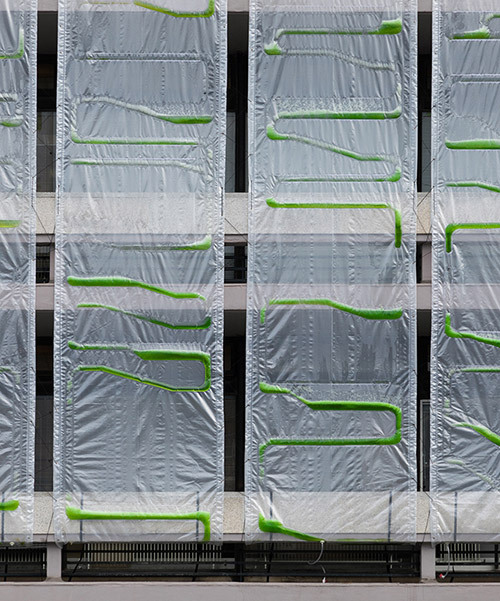 the process ends when freshly photosynthesized oxygen is released at the top of the façade and into the urban microclimate. the studio is currently looking into large scale production of the curtain. Why 20 trees ? You prefer 20 individuals which had to kill other trees by shading them than a billion of micro-organism working together ? Does beauty has to hurt ?